I always forget how easy it is to make a steamed pudding. It seems like a pfaff…finding a pudding bowl, paper, string, cloth, setting it in a water bath to cook. But while this is a very slow method of cooking, once you have gathered the ingredients and unearthed the equipment, withdrawn from neglected corners of your kitchen, it’s effortless. You stir it all into a greased and sugared bowl, no fuss, and leave it to cook for three hours or so. 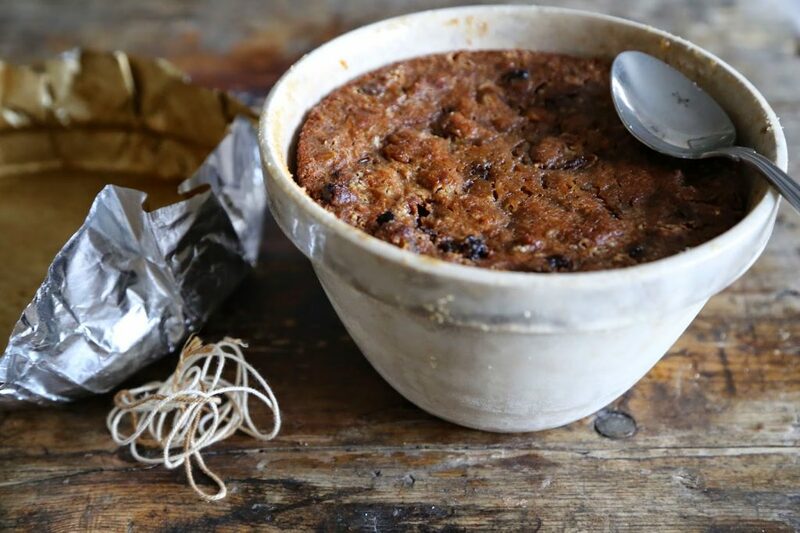 Traditionally pudding were boiled in a cloth tied at the top and then hung to dry and mature so if you don’t have a pudding bowl you can shape your pudding in that way. But I do love ceramic pudding basins, such as these from Mason Cash, which you can buy in different sizes. I’ve used a ’24’. If you aren’t eating it on the day but saving the pudding for Christmas, re-heat by steaming for an hour and a half. Turn it out of the bowl and douse with plum brandy such as Umeshu which is a delicious Japanese plum liqueur, or Slivovitz, an Eastern European plum brandy. Light the pudding. For the plums, it’s a little early for the South African season which starts in December which is a shame because South African plums are so much easier to handle, not having a clingstone, a right pain to remove from the fruit. 100g vegetarian suet or freeze the equivalent amount of butter and grate it. Mix the flour, Sultanas, breadcrumbs, sugar, suet, spices together then add the fruit (plums and apple) the rum, the eggs and the milk. Thickly butter a size 24 pudding bowl and sprinkle with sugar (this helps it to be lit if you want to set fire to it when serving). Butter and sugar a piece of greaseproof paper big enough to cover the top of the pudding bowl. Then pour in the batter. 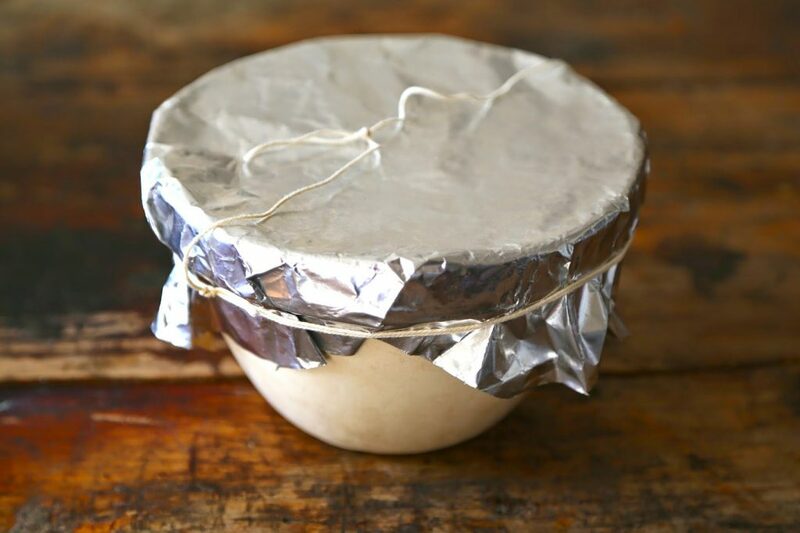 Cover the bowl with the greaseproof paper then a layer of tinfoil. Smooth it down so that it makes a seal. Then tie a string around the lip of the pudding bowl, knot it and make a ‘handle’ by looping the string over to the other side of the bowl then tying it again. Prepare a pan deep and wide enough for the bowl to sit in with a lid that will fit over the top. Place the pudding bowl in the pan and fill halfway up the bowl with hot water. Place on a medium heat and steam the pudding for at least three hours (although you can steam it for up until five hours), checking every so often to make sure the water hasn’t run dry. After three hours, remove the bowl from the pan and serve immediately. 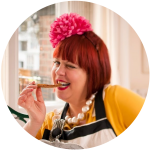 If you want to keep it until Christmas day, replace the greaseproof lid and you can add more rum to keep it moist. To reheat, steam it for another hour and a half. Thank you for sharing this, I've always wanted to try a steamed pudding. I think I will give this a go between Thanksgiving and Christmas! This looks thoroughly delicious. I always assumed steamed pudding took only dried fruits. it's lovely to see it can be a fresh fruit extravaganza. And thank you for the always rigorous instructions. This looks as if it will be getting an outing at mine for Christmas. One could also soak the sultanas in the plum brandy to make it even more alcoholic. Thanks sophie.